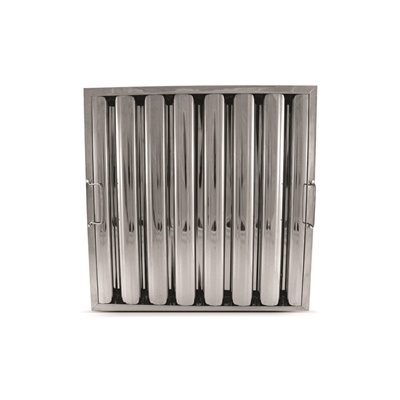 Baffle grease filters play a critical role in the overall safety and effectiveness of a kitchen ventilation and extraction system. Baffle grease filters should be carefully selected to provide the correct volume of air through the ventilator, which is determined by the size of canopy hood, the cooking equipment being used under the hood and any applicable state or local requirements. 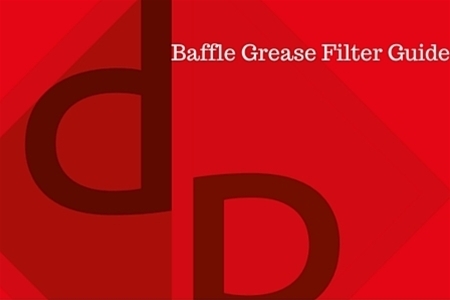 There are many manufacturers of baffle grease filters, but not all filters have a UL listing. For ulimate safety of the ventilation and extraction system and to minimize liability issues, be sure that the filters you select are UL listed. This ensures that they meet NFPA standards. 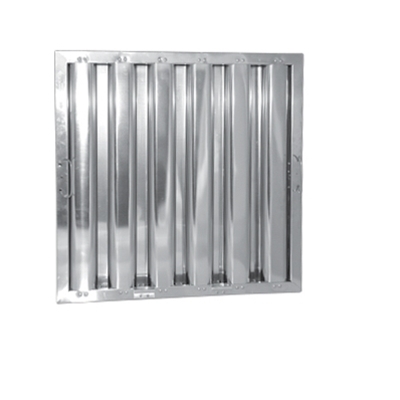 Working in connection with the surface fire suppression system, grease filters provide a strong defence against catastrophic duct system fires. 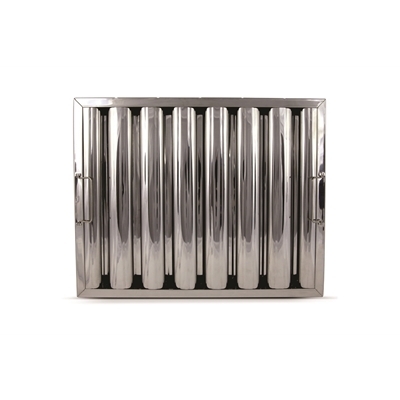 Filters are designed to remove most of the grease from the airstream before it enters the ductwork. 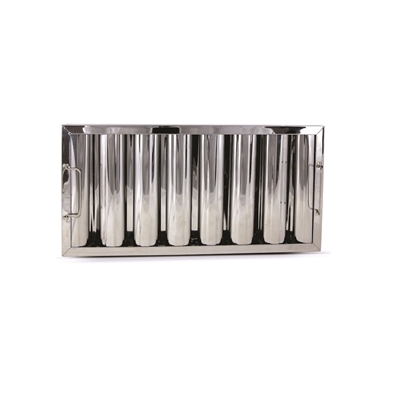 The grease runs off the baffles into a collection device where it can be easily removed. Selecting the proper number of the correct size filters is most important to ensure that the balance of the exhaust system will not be compromised and that all of the exhaust air passes through the filters before entering the ductwork. Filters MUST be installed with baffles running in the vertical (top to bottom) position so the grease will run down the baffles to the grease trough in the hood. 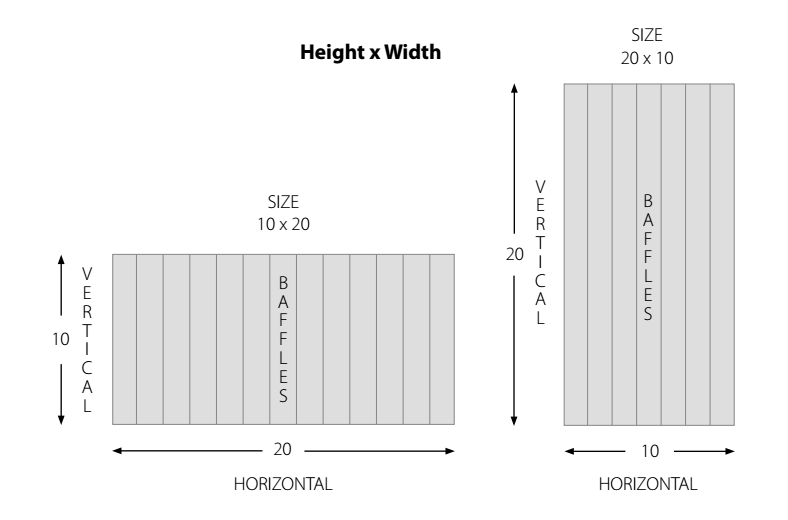 Standard sizes are ordered with the VERTICAL (top to bottom) dimension first, then the HORIZONTAL (left to right) dimension. The Baffle Filter Removal Tool has been specifically designed to eliminate the health and safety risks associated with baffle filter removal from commercial kitchen canopies. 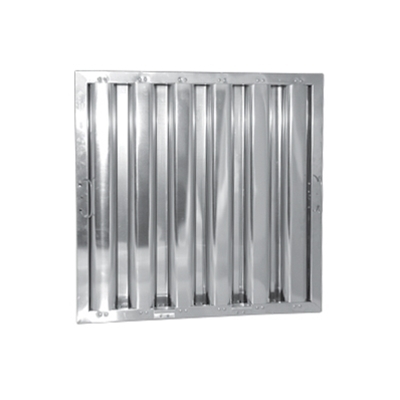 Its patented design enables members of staff to quickly and safely remove baffle filters for cleaning.